47 - 7458 Britton Street, Burnaby - SOLD | Jenny Wun - Oakwyn Realty Ltd.
BRITTON LIVING PHASE II - Exciting opportunity to purchase a BRAND NEW 3 bdrm townhome in the EDMONDS neighbourhood. Offering an open concept layout, these 3-storey, 3 bdrm townhomes offer over 1100 sq ft w/ laminate flooring throughout main, 9' ceiling, a fened wrap-around yard, & a roughed in powder room. Retreat to your master on your very own floor w/ vaulted ceilings, a large walk-thru closet, & luxurious 5-peice ensuite. 1 parking + 1 locker included. Opportunity to choose your colors w/ completion est. end of 2014 to early 2015. Walk to Highgate Village & Edmonds Skytrain. 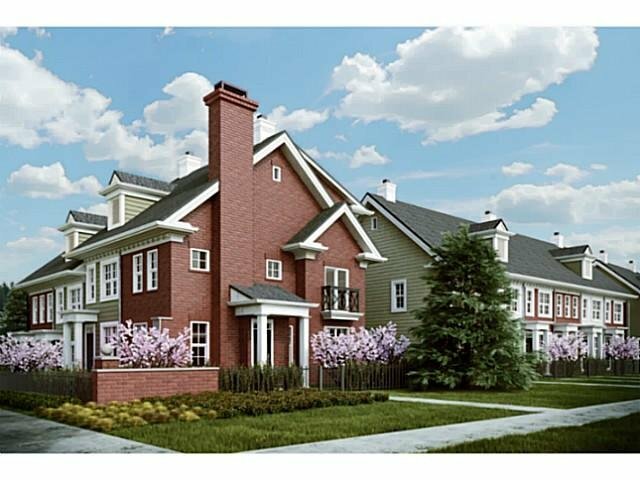 A signature collection of only 44 townhomes - you don't want to miss out! Easy deposit structure. Check out Britton Living's website for floor plans.